Money, studies, cars, properties... Nowadays, you can have loads of things but if you're not a star on social networks, you're a nobody. Thanks for participating but if your Facebook profile doesn't have a blinding feedback, there's nothing for you to do but to go home sobbing. 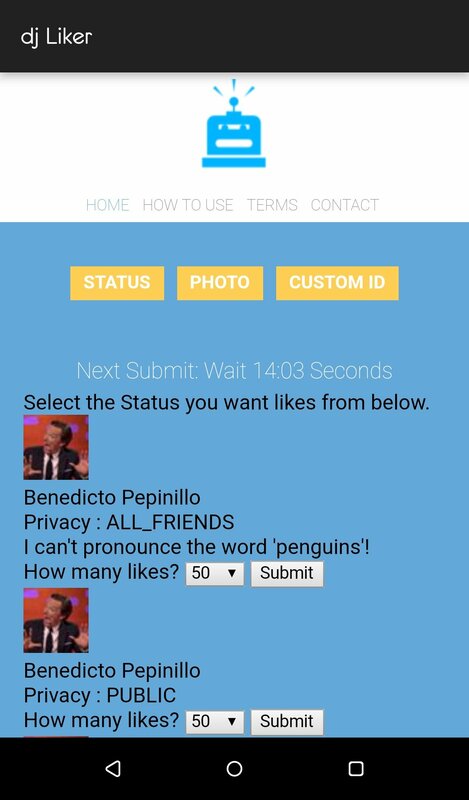 The system is based on an online user community searching for fast and easy Facebook likes. That's how coolness is measured nowadays, sad but true. It doesn't matter if you've posted the best publication in the world. If your mates don't like it, it's as if it had never been published. Likes have revolutionized our lives, modifying our concept of popularity forever. 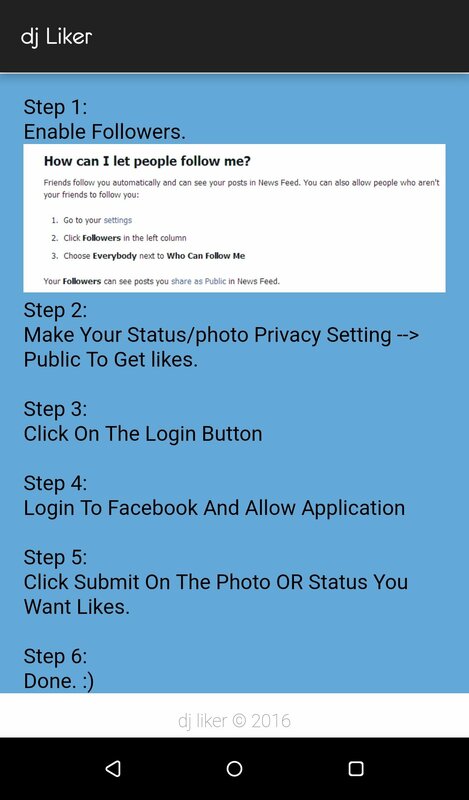 How many of you have posted an incredible photo and been buried in misery for not receiving any likes? What's more, why isn't my picture receiving any feedback but my friend's rubbish is the in-thing? So much frustration and anger... but that's the end of that. 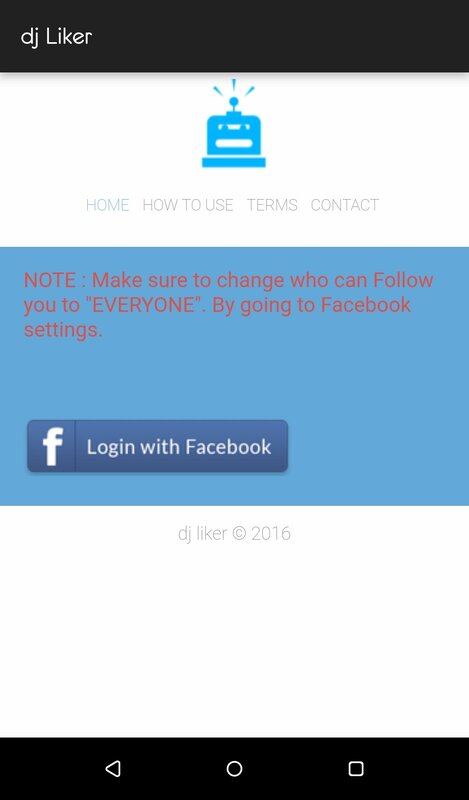 Don't let your ego suffer anymore: the solution is called dj Liker. 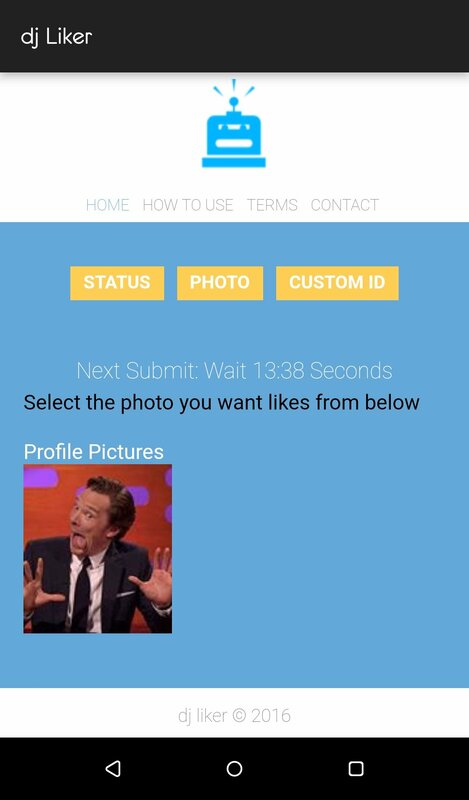 This Android app is basically to receive random likes and comments every 16 minutes. We're talking about automatic instant messages by random people from all over the world with messages of the likes of "you are gr8 biddy", "woowwwwww" or "Like a Boss". What else could you want especially if you're only concerned about gaining plenty of fictional popularity? 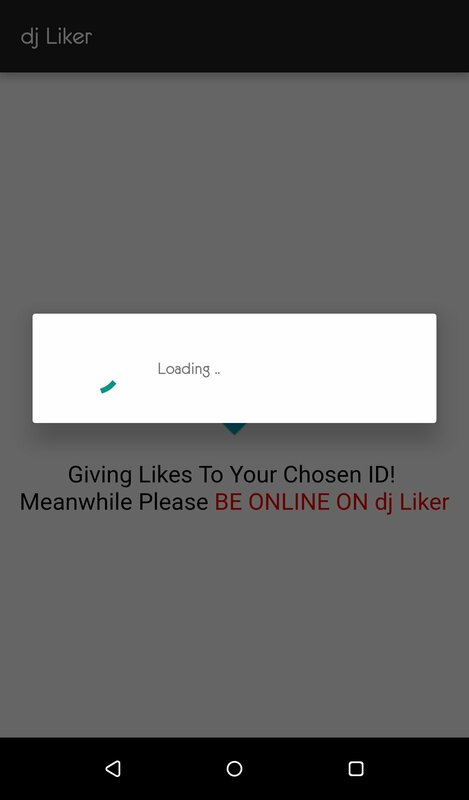 If you want to receive loads of likes, the first thing to do is to get hold of this tool. To download this APK you'll have to go to its official site or similar webs because you won't be able to find it in the Play Store. 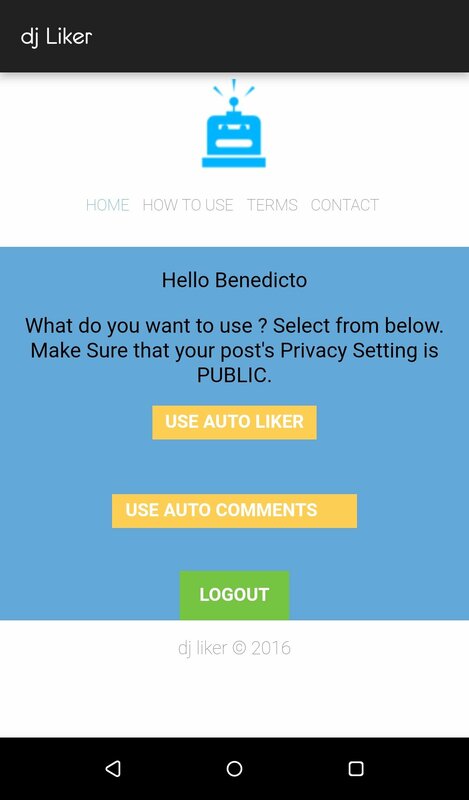 Once you open it and login on Facebook, you'll have to authorize different security tokens that grant access to the app to get information from your account. Make sure you've enabled trackers in your Facebook options and your uploads are public. 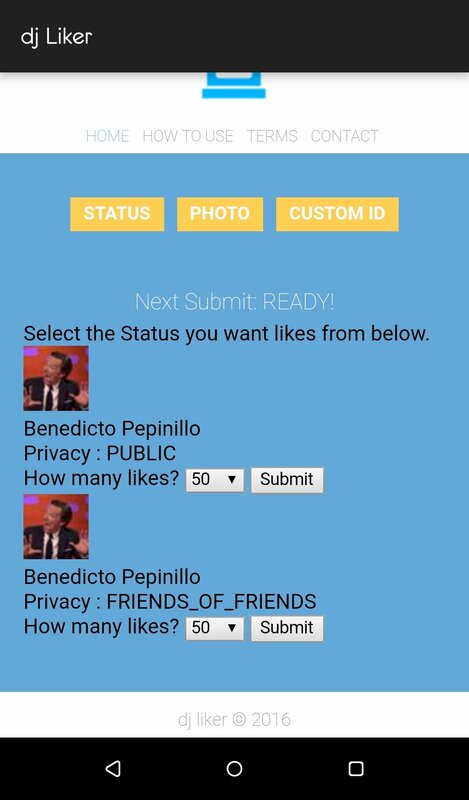 Then you've only got to choose between likes (ten, twenty, thirty, fifty, eighty or a hundred) or randomly generated comments published all at the same time of the day. You'll definitely feel like the prom queen.